eBay is running a free-listing promotion, but sellers are reporting some serious issues. As we wrote yesterday, eBay sent an invitation to sellers touting "Zero fees on 3000 international listings" as part of a deal with third-party firm Webinterpret. 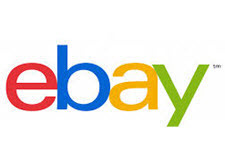 - eBay transferred his/her free shipping listings to 5 EU sites and Australia. EU Buyers saw “free shipping” on all the listings that were US based. - eBay took each listing and duped it 6 times and 6x the inventory. "Now I had thousands of listings while my inventory count + sales and listings reached the top end of my limits." We reached out to eBay and WebInterpret today to learn more and to see if the companies had any advice for sellers. eBay did not respond to our inquiry. WebInterpret's Herbert Knibiehly responded, stating he was sorry there was some confusion about the promotion. "Our goal is to allow sellers to easily test their potential for cross border trade. We've been partnering with eBay on international programs for years and we're committed to help sellers grow their business worldwide." - If a seller wants to opt out or turn off the program in case he signed up by mistake he can contact us and we'll immediately cancel his free international listings. We'll do this directly on his behalf through the platform so he won't have any manual work to do. - Sellers who hit listing limits and want to sell more can contact eBay to request an increase. We will also contact eBay to let them know a seller is on the program and is having listing limit issues. For signed up sellers, there's a direct access to support from within the Webinterpret.com platform. Otherwise there's a contact form available here. He said the promotion is free, with no eBay Final Value Fees and no WebInterpret fees; he added that sellers would not be automatically opted in to a paid plan. eBay has been having a lot of problems with promotions in recent months. It's unfortunate that a promotion that promised to help sellers test international selling (outside of the GSP) at no cost would end up backfiring. As I read this report I CANNOT BELIEVE that they did not INSTANTLY Close the whole thing down, Fall Back Ten Yards and PUNT. I can't even imagine trying to deal with foreign buyers who FREAK OUT to find that their purchases made in good faith would surely be canceled by USA sellers suddenly expected to Sell and Ship when all they wanted to do was get details. That comment about 6 times the quantity on each listing? Time to pull the panic alarm and STOP that run-away train. And I thought GSP was awful.... this is Awful to the 10th power. People need to sit back and stop jumping on every Ebay give away for awhile. The site is is mortal pain and no one has a clue on how to cure it. Just stay the course and watch the sinking ship. Never click on a link in an email -- most especially when it comes from ebay. I'd give a quarter (maybe 2) to know what percent of ebay changes/promotions/new programs go off without a hitch. It has to be under 10%. They're constantly experimenting...they should try ZERO experimentation for 30 days...and compare their "sales" to the prior 30. Furloughing a bunch of contract programmers might be eye opening. Is there anything eBay can do correctly? And I went to look at the contact form link, and all I could find were articles responding to typical questions; there was nothing I could see about getting out of this program immediately. I wondered why the wait time for eBay customer service was an hour long.....now I know! Where is the accountability Mr. Wenig? Another nail in the coffin. When are the stockholders going to make upper management accountable for their shortsighted lack of vision which is decimating this company?? The funny thing is eBay stock is up....WOW! Corporations (particularly this one) are worse than a casino. I must be living in the Matrix! Haha. I usually ignore Ebay "seller promotions" for this very reason. You get free insertion at one place, and they take something away from another place. And it's usually a waste, because the free insertion fees are only for auctions or some such nonsense. Just ignore them. If you want free insertion fees, do the math and see if it's worth having a Store upgrade. Also, stay "above standard" or they'll turn you over and shake another 4% out of your pockets. They're predators. Be very careful. While vital to grey market and thrift businesses, Ebay is not to be trusted. 1) They said if someone wants to opt out or turn off the program they can contact them. HEY...how about NOT OPTING YOU IN WITHOUT EXPLICIT APPROVAL? 2) They say sellers will not be opted in for a "paid plan". So that means they can just opt in whoever they want for a free plan? This is just incredulous. eBay just keeps climbing the mountain...the mountain of disbelief. Each time something happens that makes me say "whoa.....that's terrible" or "OMG", they come back a few weeks later and OUT DO THEMSELVES continuously. What's next eBay? Start charging FVFs on items listed that don't sell in 5 minutes? OMG, I just gave them an idea. ~sigh. So I'm just wondering if I'm still "opted in". After clicking the link in the email to take a look at it, I got an email from Webinterpret about 7 hours later welcoming me in. But, looking at the pages that resulted from clicking the link, there were all kinds of buttons to click to sign up. And, my Seller Hub home page still has a button asking me to sign up, like I'm not signed up. And did the 200 or so listings I launched after clicking that link wind up in the program? Typical eBay. Probably never get a straight answer. How noble. However, sellers didn't sign up ''by mistake''. eBay signed them up by mistake. And then ignored queries about it. Would that be the same eBay who sextuplicated untended listings and seller's possibly non-existent inventory in the first place, and then ignored queries about it? Why would a seller need that 'increase' otherwise? Unfortunate has been an eBay synonym for longer than the 'years' Webinterperet.com has been 'partnering' with them. LOL....another day....another epic eBay fail. Just when you think they do not have another toe to shoot off, they grow another foot and commence firing!! They grow another foot? A club foot, no doubt. Glad I either didn't see this or was not sent it! You barely eek out a measly %7 increase (all lies and slight of hand) and you impose “limits “???!!! You should pray to what ever evil you serve (dw) and abolish “the stupid limits”! What business school taught you this approach ????? I too clicked to fine more information and the next day thousands of listings went up on my account. I have no idea how to get rid of them..I could not reach eBay.... any ideas? I saved all the lusting notifacions that flooded my inbox and it's approx 4000. So far no issues with any selling... and when my items sold in the us....I got emails asking me to realist in 6 countries. How do I get this stopped? I am still assessing potential collateral damage. The duplicates have not been sucked back into the SixBit database yet, possibly because the SKU (Custom Labels) would be the same. I found the item specifics below the description, but the telephone number and an old email address were exposed under "Business Information"
I don't know what search returns yet because the store was on vacation over the weekend. Questions remain: What happens if translated titles are too long? Is the Condition Description populated correctly? What about item specifics? Also, what happens if a listing is revised? Since the listings are on eBay.com, will all of them appear in search? One listing I checked stated: "Does not deliver to the United States". Number two, I cannot read Italian. Number 3, I sold an item just now, and the f***er and it's still live in those other countries??????? I was reading the various discussion group threads that sprouted on this over the weekend with an increasing sense of disbelief. One minor point I'd take issue with is in the headline for this article: As far as I can tell, it backfired for ALL sellers, as the behind-the-scenes coding of the banner ad posted to the Seller Hub page of the seller's account actually signed you up for the program merely by clicking on the info button. No are-you-sure popup screens were reported by posters, no doublechecking or permissions requested; it was simply *click* *boom* you're in to the program, and a bazillion simultaneous listings would appear, with no further notice to the seller until they noticed it for themselves. I haven't ventured into this scheme due to the fact that they don't seem to be able to afford techs that know what they are doing. Different Day - Different Glitch. And why would I want to pay MORE for something that I should already have????? Though this one was free - well there is that old saying that "YOU get what YOU pay for".